Dorm living means cutting corners and opting for convenience. Desks make a great dresser, mini fridges kill it as a nightstand, and the shirt on top of the laundry pile makes a great M-F ensemble. Quick and easy is the name of the game when it comes to food too. Whether its that late night snack, caffeine fix or your breakfast that comes running to class with you, the choice will most likely be the cheapest, quickest option around. But sometimes we want something a little less processed and a little more flavorful. Amping up your food staples is WAY easier than you think. Once you taste the other side, there is really no way to go back to the packaged counterparts. Mysterious bright orange cheese powder may seem appealing at 2am, but nothing compares to REAL cheese and REAL milk. No stove, pots or pans required either, just a mug (or bowl!) and three simple ingredients. You don’t need to ditch your Top Ramen supply completely to upgrade to a delicious meal. The possibilities are endless when it comes to ramen add-ins. This recipe is creative but doesn’t sacrifice simplicity. Just a few extra ingredients can take your meal from a blah beige bowl to a beautiful medley of ingredients. Yes, your Keurig can magically brew coffee in under 60 seconds, but it uses little plastic cups that produce mediocre coffee and a lot of waste. 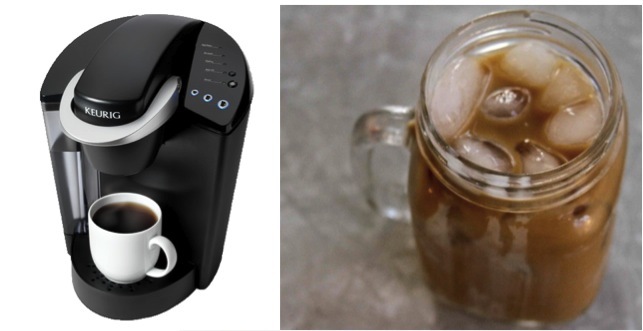 Cold brewing uses time instead of heat to extract the flavors of the coffee bean. The result is a smooth and much less acidic drink that you are sure to get hooked on. Combine the coffee and water before you go to bed, stick it in the fridge and your 60 seconds will be well spent the next morning straining the smooth coffee into your cup! 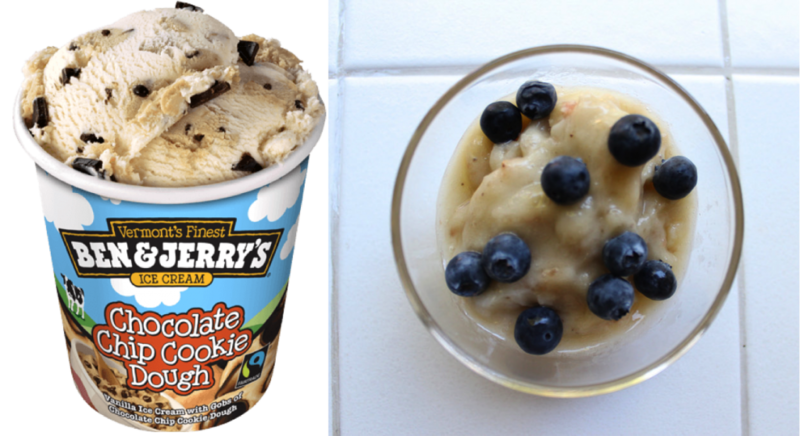 This ice cream alternative is cheaper and better for you. It’s. Just. Bananas. 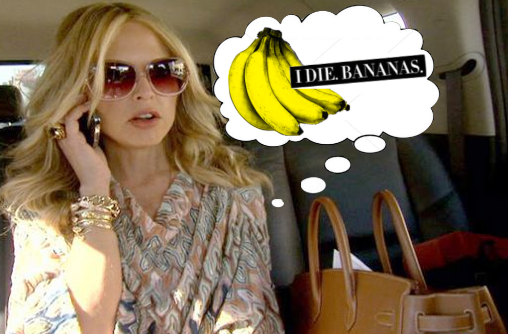 Take that in for a moment, maybe channel your inner Rachel Zoe. The magic of this banana ice cream has turned even the most skeptical of tasters into addicts. If you’re vegan, lactose intolerant or just want to make something awesome, start freezing bananas now. Gather your ingredients, stir ’em together, stick your container in the fridge and enjoy in the morning. Overnight oats are super simple and allow a lot of room to get creative with toppings. Packet oatmeal pales in comparison the plethora of genius creations. Step up from those cheesy snacks that never quite look like they do on the package and make your own mini pizzas that are free of suspicious ingredients (looking at you high fructose corn syrup) and super easy to make. Mug cakes are quickly becoming a college staple, thanks to the wide world of Pinterest and blogs, this simple dessert for one is taking off. It’s all the goodness of brownies but in 5 MINUTES! No fussing with ovens either. Frozen burritos may be a quick breakfast but they can barely be put in the same category as the fresh ones. This breakfast burrito recipe may take some extra time and planning but fresh eggs and avocado really make a satisfying meal. Bars are a quick snack that you can carry around anywhere. There a ton of them out on the supermarket shelves these days but if you really want to up your snack game, make them yourself! One batch makes enough to last through several long study nights. Turn all of your favorite veggies into crispy chips.Whip these out in the lib and you’re bound to get some envious stares from people munching on dull vending machine eats.